Any eligible candidate, who aspires to join IBPS as Law Officer, Analyst Programmer (Linux), Analyst Programmer (Windows), IT Administrator or Research Associate is required to register for the online examination. Candidates who appear and are shortlisted in the examination will subsequently be called for further process of selection including Item Writing/Group Exercises/Computer Programming Test/ Interview, etc. 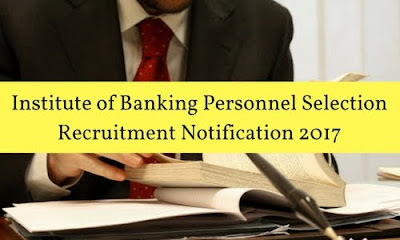 Prospective candidates will have to apply to IBPS after carefully reading the advertisement regarding the process of examination, interview and eligibility criteria, online registration processes, and ensure that they fulfil the stipulated criteria and follow the prescribed processes.